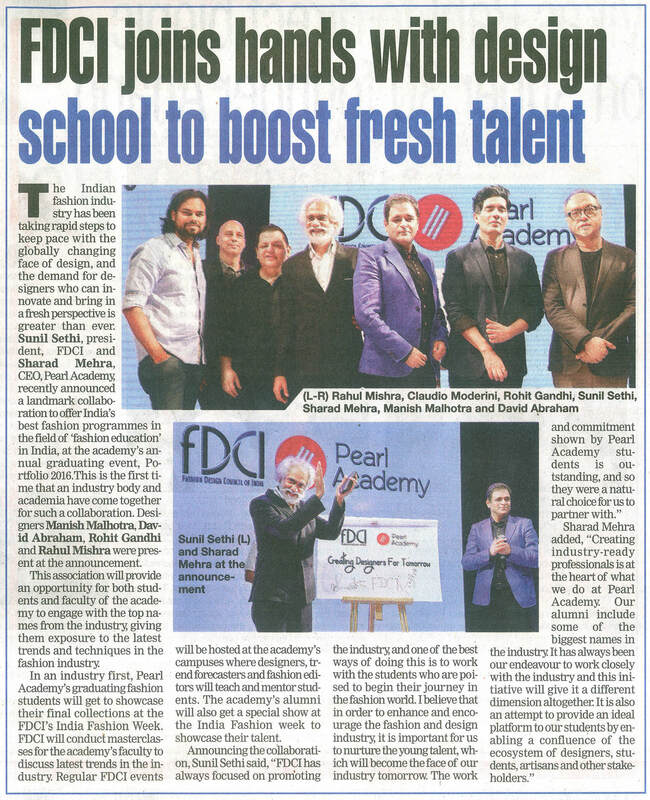 Pearl Academy has been named as one of the best private fashion and design schools in India by various prominent surveys..
for 23 years our faculty has inspired and mentored students to achieve their dreams. 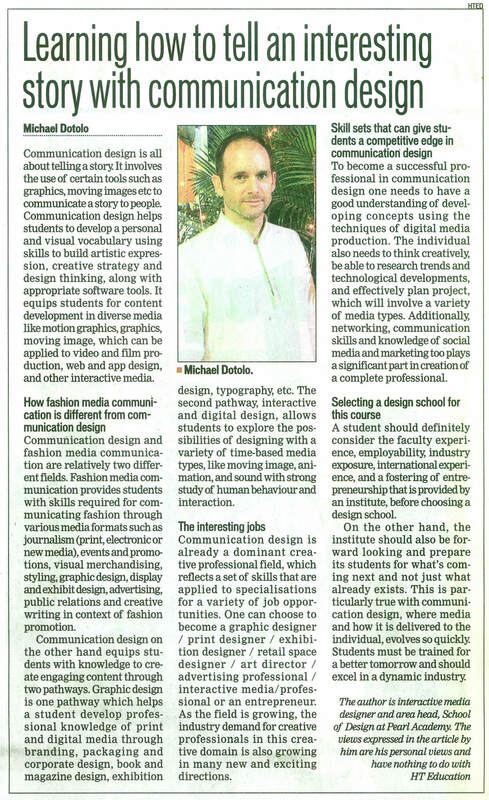 SOURCE : TIMES OF INDIA (ET) 30-05-16, P 05. 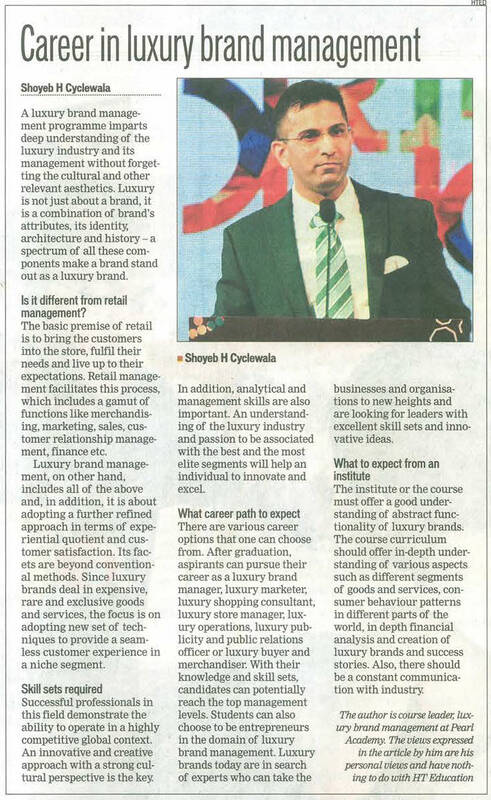 Mr. Shoyeb talks about Luxury Brand Management, how it is different from retail management, skill sets required for this course, what career path to be expected and what to be expected from an institute. 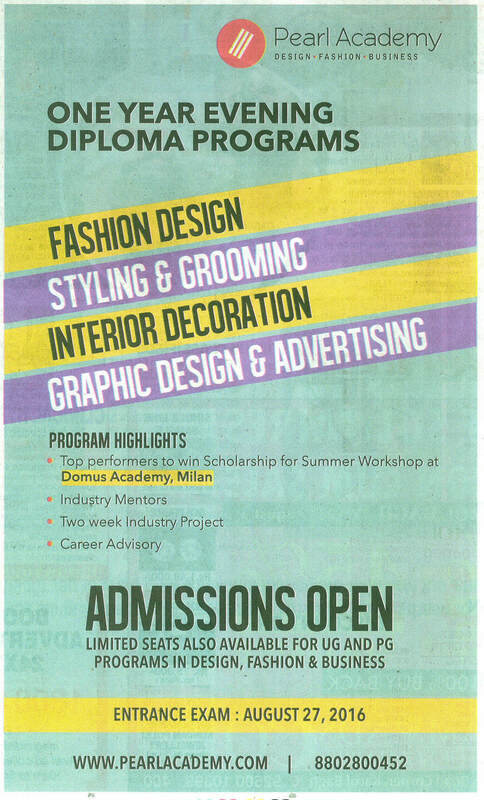 This association will provide an opportunity for both students and faculty of the academy to engage with the top names from the industry, giving them exposure to the latest trends and techniques in the fashion industry. 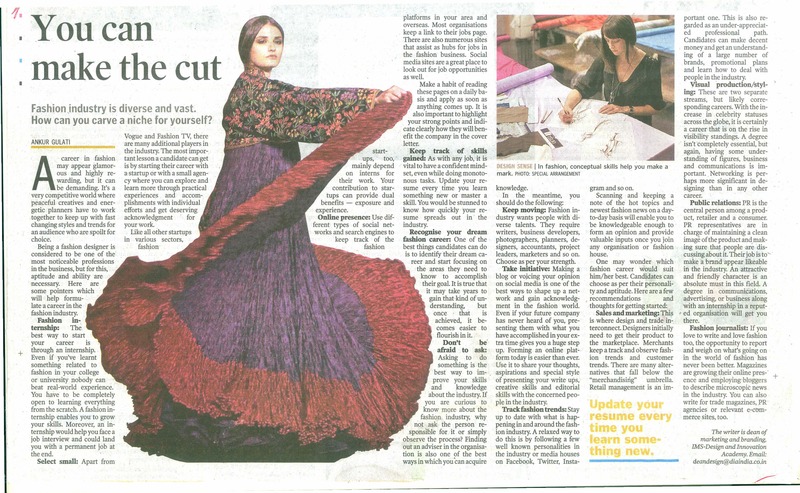 Fashion industry is diverse and vast. How can you carve a niche for yourself?